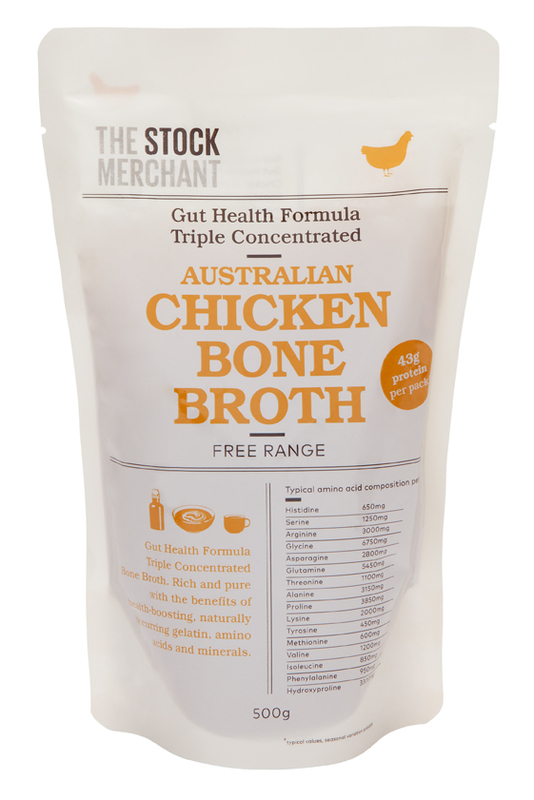 With growing awareness about the important of gut health, we've developed a highly functional range of broths. Extracted over a 24 hour period, our Gut Health Formula Triple Concentrated Bone Broth is rich in health-boosting gelatin, amino acids and minerals. The per-pack amino acid concentration surpasses many amino acid supplements and is more than triple that of other bone broths. The per-pack amino acid concentration surpasses many amino acid supplements and is more than triple that of other bone broths - perfect for those trying to improve their gut health through diet. 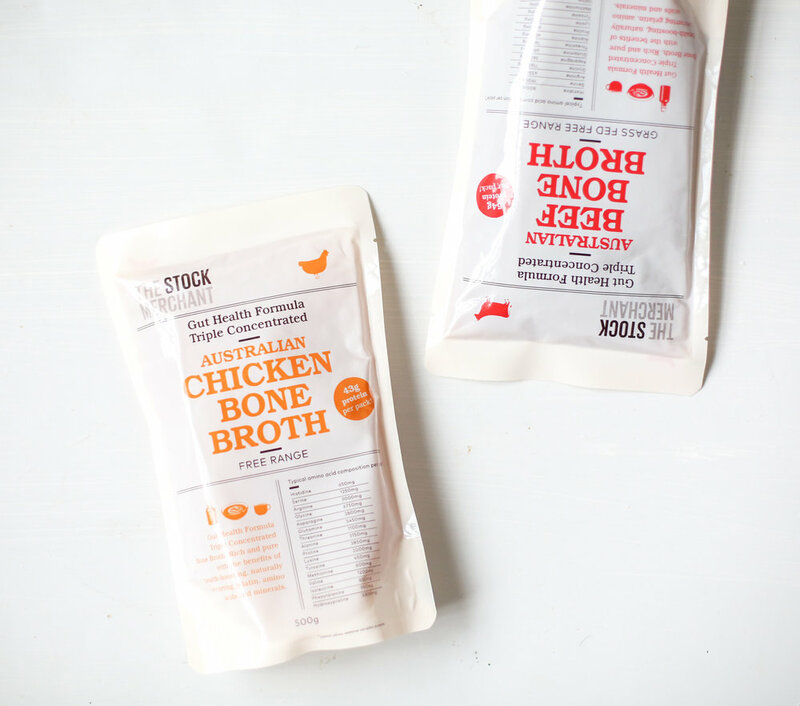 As with our other bone broths, there are no filler vegetables used. Just water, grass-fed beef bones or free-range chicken bones and apple cider vinegar. Over 43 grams of protein per pack. Over 59 grams of protein per pack. 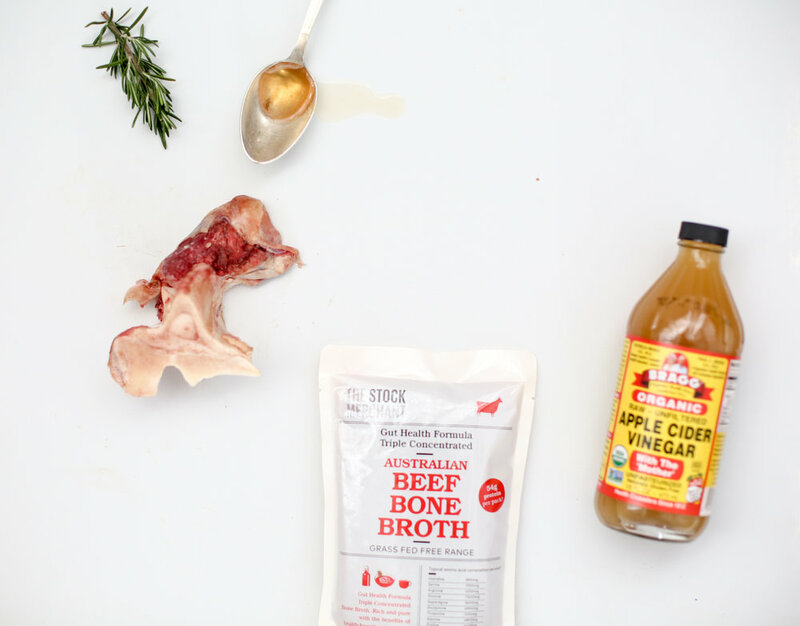 Bone Broth vs. Gut Health, What's the difference? Essentially, our Gut Health is a more concentrated (three times!) version of our regular Bone Broth. Both are ready to drink! Just add a pinch of salt for flavour. Bone Broth: is a good source of amino acids. Gut Health : excellent source of amino acids. Bone Broth: for every day use; drink straight with a pinch of salt, or use as the base of your favourite healthy recipes. Gut Health: a highly functional health-food. Drink straight for a boost of vitamins, minerals and amino acids.